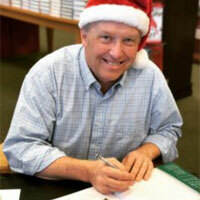 Parents: If it is time to tell your child the truth about Santa Claus in a positive way, this is the book for you! Children the world over have been enchanted and captivated by the charismatic being known as Santa Claus, Father Christmas, St. Nick, Sinterklaas, and Papá Noel. But eventually, they begin to ponder just how, with the help of flying reindeer, he can deliver presents to boys and girls all around the world in only one single night. And how does he fit down chimneys? And visit houses where there are no chimneys? As the questions begin to multiply, THE SECRET OF THE SANTA BOX helps parents guide their child from an innocent belief in the fanciful realism of Santa Claus to an empowered understanding of charity, love, and goodwill, and the true meaning of the celebration of Christmas: the birth of Jesus Christ. 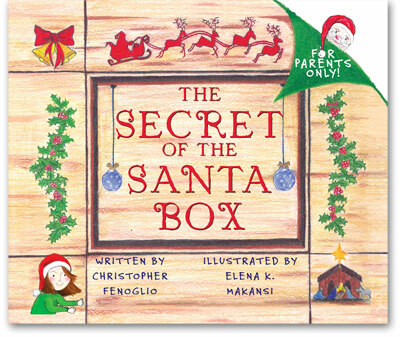 THE SECRET OF THE SANTA BOX by Christopher Fenoglio and illustrated by Elena Makansi, is a delightful poem written in the same lyrical style as ’Twas the Night Before Christmas. This colorful book helps parents navigate the difficult terrain of moving from Santa Claus to the Manger in a loving and empowering way. It is a natural transition for children who have outgrown the “Elf on a Shelf” and are ready to move forward to the real meaning of Christmas. Paperback, 32 pages, 10 x 8 inches New! Coloring Book, 32 pages, 10 x 8 inches New! Review this book on Goodreads, on Amazon, or at the book’s web page at another online retailer. who hosted signings in 2017 and 2018. Every year, young children around the world await the arrival of Santa Claus on Christmas Eve. Meanwhile, their parents who wonder if this is the year their child will to question the magical nature of Santa Claus. The main character in our poem is Kristin, who is a very inquisitive girl. Christopher Fenoglio has served the Christian publishing industry through positions with The Tennessee Register (Nashville’s diocesan newspaper), CCM Magazine, The CCM Update, and UMC.org, the denominational website for The United Methodist Church. A graduate of the University of Notre Dame, Fenoglio garnered First Place Awards from the Catholic Press Association for his Reel Life Journeys columns. A writer and editor by trade, he especially enjoys his ministry as a cantor and music minister for St. Henry Church in Nashville. He and his wife Linda have three grown children and one lovely, inquisitive granddaughter. He still has the original props he used to tell his children about Santa Claus. Elena K. Makansi graduated from Oberlin College where she majored in Environmental Studies. She is a writer, artist, and vegan/vegetarian cook. She is part of the K. Makansi trio of writers of THE SEEDS TRILOGY (currently optioned for film by an award-winning independent production company), and is currently working on her first solo novel, LUNA AND THE MIDNIGHT CAFE. She blogs and runs a Facebook page about vegetables and cooking and works part-time for an organization promoting farmers markets and local artisans. She has worked on illustrations for several non-fiction titles and has designed many book covers. 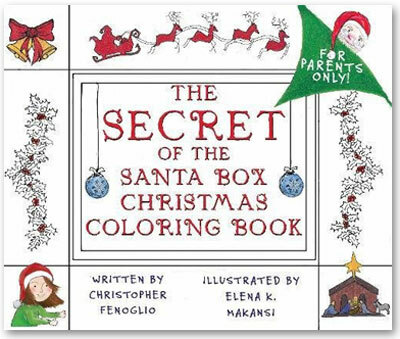 THE SECRET OF THE SANTA BOX is her first children’s picture book. Visit her website.